A very weird thing happened, just the other day, while I was watering the tomatoes, I discovered one of the flowerboxes has slugs. They were just a few small ones, but there they are. 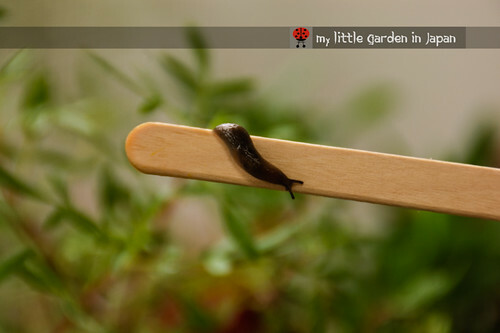 The slugs are really tiny, and even a bit cute, I can't help to feel guilty for wanting to get rid of them. They spend most of the time strolling around the planter and not doing much. They are eating the alyssum's old dead branches, but other than that they don't seem to be doing much damage. For now I will toss away the ones I get to catch, but no heavy arms just yet. Although, I will keep an eye on them, because I would hate if they become a plague and they ruin the crops. I really wonder how do they manage to get there, I haven't gotten any new plants for that pot or anything. Maybe one managed to climb all the way there on one of the rainy days last month, but I am not sure. I guess nature always find a way. I think slugs have supernatural powers! They appear out of nowhere at the slightest excuse. Maybe there were some eggs in the soil of a plant you bought a while ago..? I used to flick mine over the retaining wall at our old house. I'm sure the nosey neigbors wondered what I was doing. I think their eggs were in the soil when you buy soil. 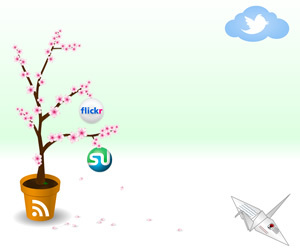 i had same problem here sometime ago with small snail. They appear all of sudden! 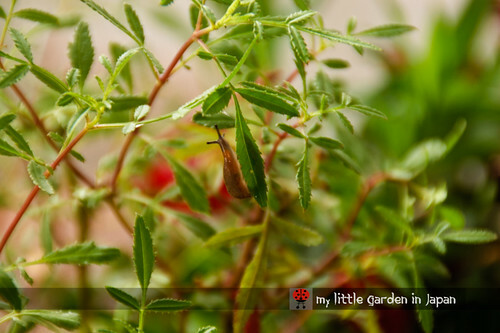 The slugs actually look pretty cute in your photos. Thankfully I don't have them. Perhaps they don't like the hot weather. I know, I know... extremely disgusting. But my grandparents swore it is very effective. Slugs can climb very high! All slugs lay lots of eggs (each slug is both male and female) so you could end up with lots. Hmm. Very curious, Fer. I might suggest that perhaps eggs were in the soil in the pots when you purchased the plants if you bought plants that were already potted. Funny that you should say they are "cute" because when my daughter was younger she didn't want me kill them because they "were so cute." As long as they don't damage anything, I am inclined to let them be. You'd have thought one of the advantages of a balcony garden would be that it's slug free! Fer, If my slugs were that cute, I wouldn't complain. I have read through your post and am very impressed with how many things you have managed to grow on your balcony! Well done!! 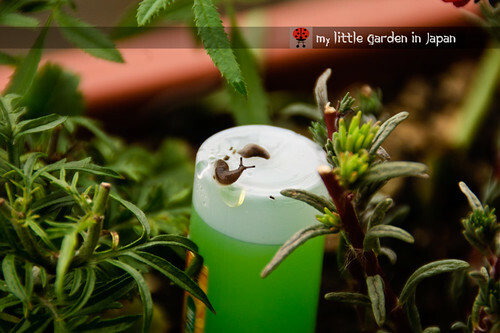 I always feed my slugs beer to welcome to the garden. They never seem to return for seconds. Yikes! I hope you keep them completely under control. Sometimes being too nice to critters can turn them into pests. Funny, how we both posted about slugs on the same day! Surprised they haven't started munching on your green leaves yet. They can cause quite a bit of damage as they seem to eat 24/7 in my garden! I would dispose of them properly as slugs have a homing device and if tossed are capable of making their way back to your plants if they liked the conditions enought. Good luck, Kelli. Fer,I now know two people on the planet who thinks slugs are cute, Myra and your good self.Get rid of them, the frogs in our garden are doing a good job keeping them down this year. They do look cute. I hope they don't damage your plants. I have a 'pot' of slugs too. No idea how they get there and why are they in the empty (no plant, only soil) pot. They may be small now, but they'll get a lot bigger once they start eating your plants! Not good at all !!! When I got one, my chicken are really happy. Me..... NO !!! I haven't seen any slugs (yet) on my container plants! Have had huge grasshoppers...who have feasted on my Peace Lily! You're keeping an eye on the little slimers so you should be OK! I hope they have not increased in number in the interim. Their presennce on your balcony prove it's a real garden! Better to get rid of those slugs. They might cause damage on your garden.